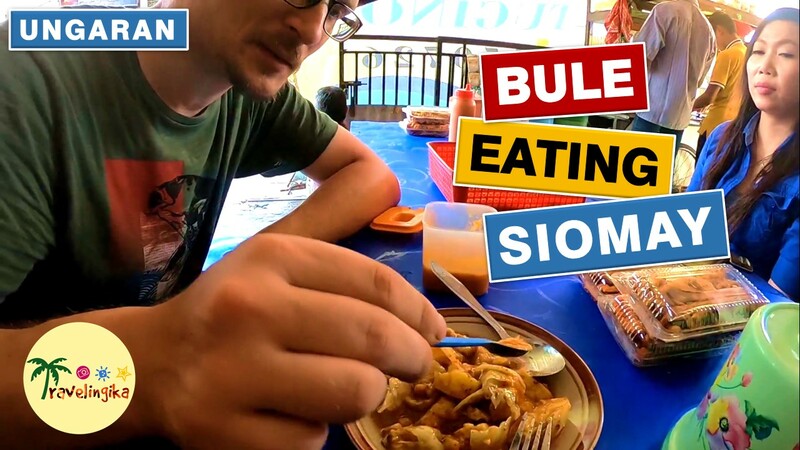 Watch this reaction of bule eating hot and spicy Siomay! Siomay is an Indonesian steamed fish dumpling with vegetables served in peanut sauce. It is derived from Chinese Shumai. It is considered a light meal that is similar to the Chinese Dim Sum, but is cone shaped. It is traditionally made from tenggiri (wahoo) fish meat. Sometimes other types of seafood such as tuna, mackerel, and prawn also can be used to make siomay. Other complements to siomay are steamed cabbage, potatoes, bitter gourd, boiled egg, and tofu. Siomay is cut into bite size pieces and topped with peanut sauce, sweet soy sauce, chili sauce and a dash of lime juice.